So I have a confession to make…. I REALLY hate love drumming! I haven’t done as much as I like in recent years because my school has just a few hand drums and even fewer “world” drums. I use what we have often, but I’d like to do more, and am considering working up to a drum circle particularly in 5th grade. Just last week Sonic Limeades for Learning funded my world drum project on donorschoose.org so more are on the way. Now that I am about to increase my drum collection, I’ve got drumming on my mind because I’m hoping to be able to do some drumming activities this spring AND it wouldn’t hurt my feelings if I could find ways to do a better job of facilitating lessons using unpitched percussion because based on my love/hate relationship with drums I have room for growth. I’m hoping that writing this blog post will help me remember what strategies I want to use to ensure that I don’t end up hating drumming before I’m finished. Not everyone needs a drum or do they? This may seem obvious as more drums mean more sound…. but on the other hand, fewer drums might mean perpetual turns and depending on the class, getting the entire class through the process in fewer turns might work in my favor. What are the students who are not playing a drum supposed to do? How do I set up my room to accommodate the flow of traffic? I’m thinking a semi circle of chairs, enough for half the class (12-14). Drums and unpitched percussion in or in front of each chair with room to move in the middle. How do I take away an instrument from a child who is playing without permission without causing a meltdown? When I take up an instrument I say, “I’m holding onto this until you need it.” This lets my more impulsive students know that they will get to play and works 99.9% of the time, with my few who really can’t keep their hands off of their instrument AND it warns the rest of my students who might be tempted to make noise, that I WILL and do take away instruments. How do I keep from trying to speak over the drums? I’ve learned this fall as we have worked on our 3rd grade performance to use a shaker for counting the starting beats (4 taps as an intro) I use various patterns to signal which turn it is. This is the one that I use. It works great because the pitch is distinctive and it rises above the noise of the other instruments. What can I do for students who find drumming too loud? Even when the playing of drums is well facilitated and not too loud, drums make some students particularly those on the autism spectrum uncomfortable. It may be helpful to “stuff ” the drums with some fabric in order to take the edge off the sound. Your neighbors will appreciate your efforts and you may be able to keep some students who would otherwise need to go to another room. It might also be helpful to provide some headphones. When I know I have a particularly sensitive student scheduled to come to music, I’ve had some success when I invite them to come in during my conference when my room is empty and quiet. I can then introduce them to their drumming assignment with less distraction and noise. Providing an isolated experience sometimes help them prepare for a full group experience. I’m certain that other ideas will come, but for now…. this feels like enough writing for one night. Hi! I understand not having enough drums and also being too loud. Check out a DVD by Kalani called Drum Fun Musical Games for Groups. I originally saw clips on YouTube. So check that out as well. His drum circles include drums and UPP instruments. So some are playing the drums, others are not. What you can do (like in Mallet Madness) is have students play the few drums that are available, then rotate. They can move one chair over while the one. (if in a semicircle, the one on the far end moves to the beginning of the circle). That way all get a chance to play a drum or UPP instrument. Set them up where every other one is a drum or every other two is a drum. Have them play 5 minutes and then rotate. That way, they can play world drums, hand drums, bongos – various types of drums. I invested in sound shapes that are NTL (not to loud). They cost more, but are worth it. I use various types of drums in my class. I hope this helps. Please check out the resource. You will love it. I love Rumble Ball. You can look it up on YouTube by that name. Then you will have options for others. The DVD goes in an order. Really worth the cost. 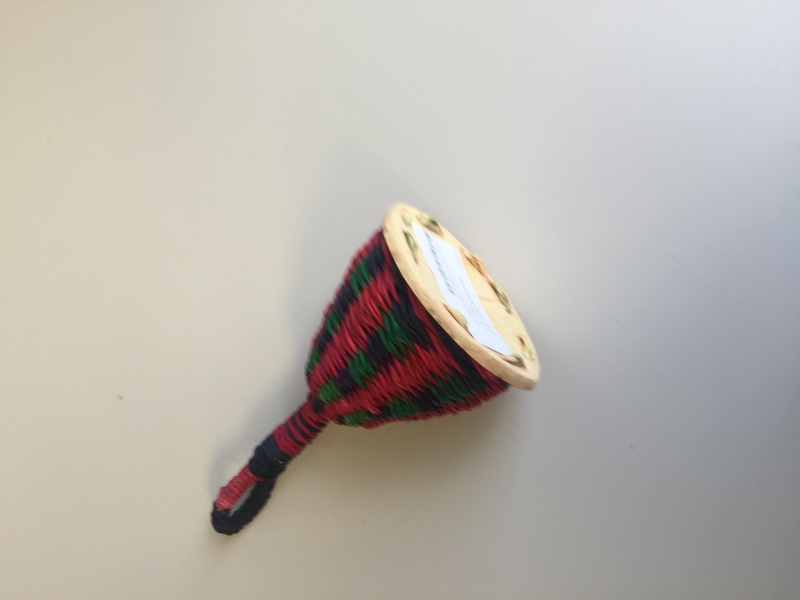 Other resources – Check out Chris Judah Lauder – she has a lot of drumming activities for hand drums and world drums. She is an amazing instructor! She is an Orff instructor as well. Thank you for your comment! I am getting back into the habit of blogging after quite an extended break for grad school.